I'm getting back into my groove! Yep. I love nonfiction. What of it? This week I shared the list of books my 8th grade daughter is reading this year for her homeschool English class. She's a lucky, lucky girl. It's Bloggiesta this weekend and I really should be participating. I think I'll see about doing some challenges today. I hope you've had a fabulous week! What are you reading? What's happening? Looks like you've had a great weekend week. 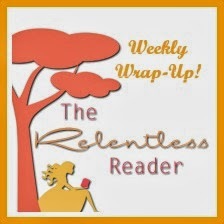 Yay you for getting your reading groove back! I'm just finishing up Colossus: Stone and Steel by David Blixt, a novel set in 1st century Judea, and will then probably read something a little bit lighter. Ugh -- my comment was supposed to read "...had a great reading week." Lol Melissa, I knew what you meant my friend :D I can see why you'd need something lighter next! 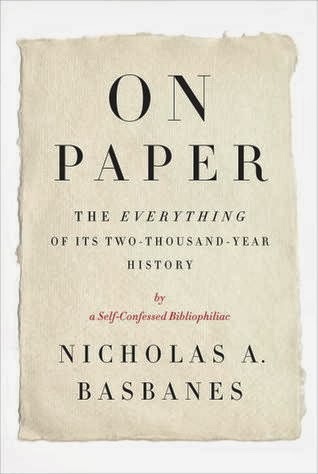 The book about the history of paper sounds really interesting. I am looking forward to your review. What a great week you have had.... loving this post. You and me both :D Hooray for nerdy books, they're the best! You always find the best gifs! As for what I'm reading, I'm working on The Iron Jackal by Chris Wooding, which is part of a series. I hope to make some progress tomorrow on it. Today was a day for napping and now watching The 39 Steps, a Hitchcock movie, also on TCM, with a group on Twitter for something called #hitchfest. Napping sounds lovely. I've heard tales of this #hitchfest, sounds like a hoot! I love nonfiction too. Love your Nerd Alert. It's really cute. 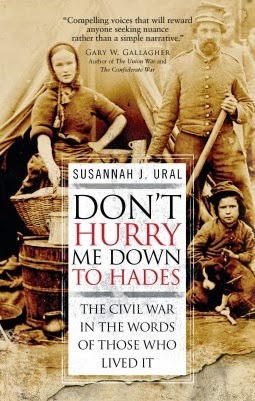 Don't Hurry Me Down to Hades might have to be a Christmas gift to my mother, if it is out. She is a huge Civil War buff. I am happy you are back in your groove! I have Someone Else's Love Story waiting for me soon-ish!! Great week. I'm always amazed at how much you're able to get through in 7 days! On Paper, so specific but it must be fascinating! Looking forward to reading your thoughts on the Civil War book. It is fascinating :) I'm learning a lot, which I love! Ha ha! Ahhh, 15 year olds, aren't they fun? I have one of those myself. I try to read a few a month as well :) When I read too many in a row like that my brain starts to ache, lol. Yay for getting back into your groove! How is your quitting going? Aww, I missed Bloggiesta. Although I don't know that I have much blog work to do anyways... I'm really just waiting until I can afford to self-host before I make any of the changes I want to. It's going GREAT! 25 days today, wooo! Haha that gif is the best! I'm glad you're getting back into your groove! Thank you darlin', you and me both! I'm with you on loving non-fiction. I am definitely getting back on track with it lately! Lol @ that picture! So cute. I'm glad you getting back to blogging and reviewing! Thank you my friend :D Me too! 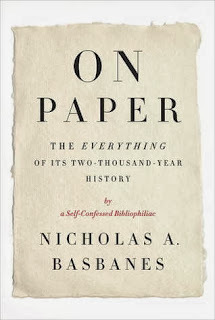 I read and enjoyed A Gentle Madness a few years ago, so I am looking forward to reading On Paper.